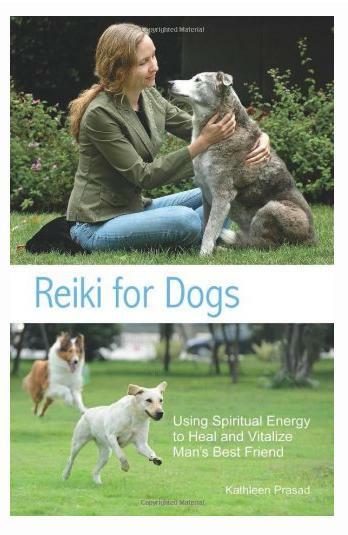 To get the most out of our experiences with Reiki and dogs, it is helpful to consider the spiritual qualities of our dogs and what we can learn from them. When we share our lives with dogs, our spiritual paths intertwine. We are (consciously or unconsciously) changed for the better. Dogs are not only our closest companions and friends; they are also amazing spiritual teachers, simply because of the spiritual qualities they possess. The most compassionate, forgiving, and loving beings I have known have been dogs. Dogs live selflessly and generously, with faithful, loyal, and trusting hearts. They bless us with their unconditional love and unending devotion. Dogs can be simultaneously gentle as lambs, yet fiercely protective of the ones they love. They know how to walk the line between martial courage and peaceful surrender. Dogs also sense and understand the subtlest of energetic vibrations. Spending time with dogs can help us develop our own sensitivities. Dogs authentically embody so many spiritual qualities throughout their lives and even as they face death. Living with and loving dogs, we can be guided toward being better people and creating a healthier planet, one where people practice compassionate devotion and a life of joyful service to others. Think of the qualities of the dog or dogs in your life. Wise protector? Constant companion? Playful, silly puppy? The qualities your dog displays will point to areas where you need to develop your own inner qualities and heal yourself. Dogs can be mirrors of our inner selves, highlighting our strengths and challenges. If we can open up to this possibility we can see into our own hearts more easily and develop our highest and best qualities while healing our deepest issues. Dogs are truly our guides and teachers. Dogs have been associated with healing throughout history, and the psychological healing and support provided by service dogs of all kinds is today well-known. Take the example of Guide Dogs for the Blind. Not only is the guide dog the eyes for the blind person but he or she also serves as best friend, trusted guide, and loyal companion. Truly, all dogs—not just service dogs—provide healing. And in return for a lifetime of love, devotion, and service, what do our dogs require of us? Really, nothing—although they do appreciate love and devotion, food, and a bit of play, silliness, and adventure. In so many ways and on so many levels, dogs bring so much to this world and to our lives. What better way to repay them for all they have given us than by offering Reiki back to them? When I began this journey with Reiki, I never imagined that I would find my focus with animals rather than people. But with each passing day, it seemed that more and more animals came my way in need of healing work. In the early years, I kept a journal of the amazing experiences and lessons I learned through offering animals Reiki treatments. Many of these stories can be found in my first book, Animal Reiki. As time progressed, it was as if the animals that I worked with were asking me to be their voice—to share what I had learned from them with other people, so that even more animals could be helped. I found myself moving toward teaching Reiki for animals. At that time, this was something that really wasn't "done" in the Reiki community. Most practitioners specialized in working with people and just did Reiki treatments with animals here and there. So I asked the animals themselves for their help, advice, and wisdom—all the while continuing to practice, write about, and contemplate each experience I had doing Reiki with animals. Over the years, the animals have shown me so much about the nature of energy and how we can more successfully commune with other species on the soul level. I feel so blessed to have had all these amazing animal teachers in my life. I hope some of the stories I share in this book inspire you to take a new and deeper look at the animals in your life!